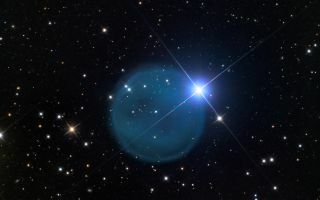 Abell 33 is a planetary nebula located in Hydra. In this space wallpaper, Abell 33 is a planetary nebula in the constellation Hydra. A bright star coincidentally sits on its rim.